The Scots are set to receive a major upgrade to their salmon farming as AquaGen expands operations in the country. The Norwegian breeder and fish egg supplier has purchased Scottish Sea Farms’ freshwater hatchery, and has big plans to make improvements to the facilities and launch a targeted breeding program, as reported by FishFocus. 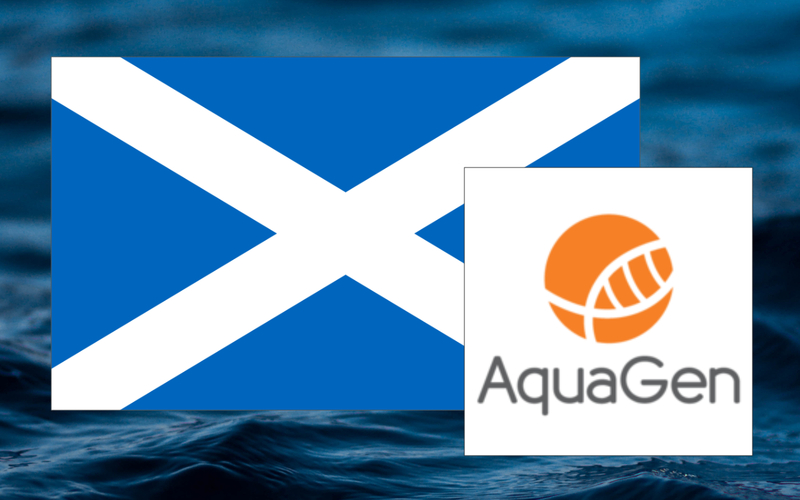 While the acquisition is newsworthy, the real story is the arrival of AquaGen’s breeding technology and how it will advance Scotland’s sector, which dovetails perfectly with Scotland’s own native push to support aquaculture in the form of its 10 Year Farmed Fish Health Framework. AquaGen’s targeted breeding program applies genetic technology to local brookstock in a process that identifies the genetic and biological traits that are most conducive to farming conditions in Scotland. The technology will help create robust fish stocks, secure the ova supply for the market and reinforce Scotland’s position as a source of high quality product. AquaGen’s acquisition in Scotland, Scottish Sea Farms’ freshwater hatchery at Holywood, is is a strong choice for a number of reasons. It’s not on the coastline but rather a four-acre inland hatchery. This means its waters are sourced not from the sea but from groundwater taken from a series of bore holes. A system like this brings a level of biosecurity into the equation, as well as quality and constant temperatures. Overall, it’s a very well suited for egg production. Advances in genetic technology like that of AquaGen have already brought a number of huge benefits to salmon farming, including reducing time at sea, optimizing feed-to-meat ratio, bolstering disease resistance, increasing survival rates and maximizing product quality overall. Based on AquaGen’s track record in this area, Scotland is likely to see big wins when it comes to their fish welfare.